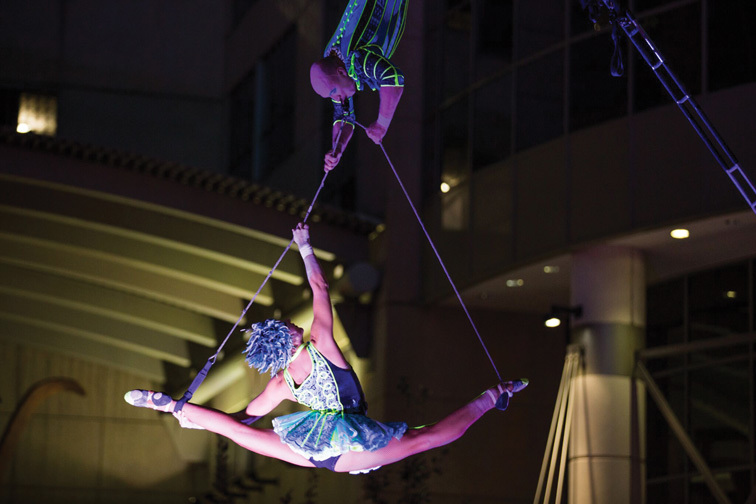 Central Florida’s signature arts event returns for its 7th year to the heart of Downtown Orlando as The Creative City Project presents “IMMERSE 2018” on Friday, October 19 and Saturday, October 20. In partnership with the 2018 presenting sponsor, Orlando Health, IMMERSE is the annual performing and interactive arts experience from The Creative City Project. It takes over the streets and public spaces in Downtown Orlando every October. This year’s event showcases more than 1,000 artists from over 100 arts organizations, including the Orlando Ballet and the Orlando Philharmonic, in the streets and public spaces along Orange Avenue, Church Street and Pine Street on Friday and Saturday from 5 p.m. to 11 p.m., with experiences opening at noon on Saturday. New large-scale, interactive installations make IMMERSE 2018 more immersive than ever, like a 3,200 square-foot Giant Ball Pit and an Immersive Photo Experience in partnership with Corkcicle called “The Worlds of Corkcicle”. IMMERSE 2018 offers several different ticket options ranging from free to VIP and the special Dinner Party Project Experience. In addition, two craft cocktail experiences are a part of IMMERSE 2018. Guests are also encouraged to visit the many bars and restaurants along the event footprint as they enjoy all the experiences IMMERSE offers. Creative City Project began in 2012 as a group of artists performing on street corners and in plazas around Downtown Orlando. It has now grown into an arts non-profit organization that helps audiences live a life of creativity and adventure throughout the year and at its annual event IMMERSE. PreviousA Whole New Kind of Adventure!